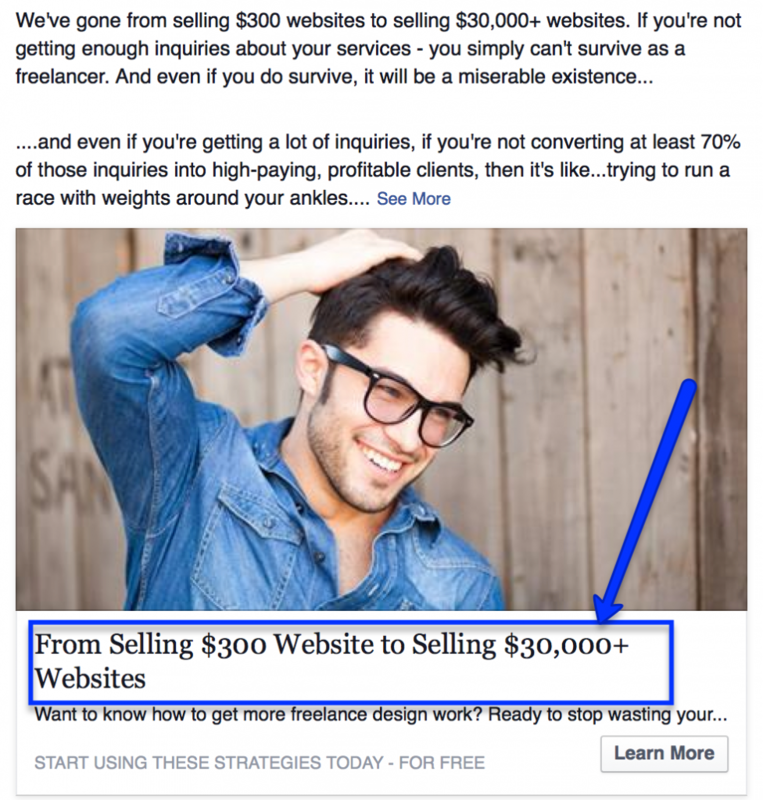 If you’re using the Facebook Boost button you’re wasting money! Sure, it’s easy to use. Facebook delivers plenty of Likes, Shares, and Comments – but very little in the way of actual ROI (return on investment). Facebook is one of the most powerful marketing tools on the planet…when you know how to use it. How would you like to a simple strategy that will deliver tremendous ROI? And the best part is it’s simple to do. You can even implement it today. Before I reveal the strategy, first I want to share the seven reasons you should never hit the Facebook Boost Button. When you hit the Boost Post button, Facebook runs an Engagement Campaign for you. The purpose of an Engagement Campaign is to get more Likes, Shares, and Comments for your post. On the surface, there’s nothing wrong with getting more Likes, Shares, and Comments – but rest assured there are many other high ROI Facebook campaigns you could be running. If you’ve only ever hit the Boost Post button, chances are good you’re not even aware Facebook currently offers ten different campaign objectives. Here are Facebook’s current ten campaign objectives. Nine of them aren’t found when clicking the Boost Post button. 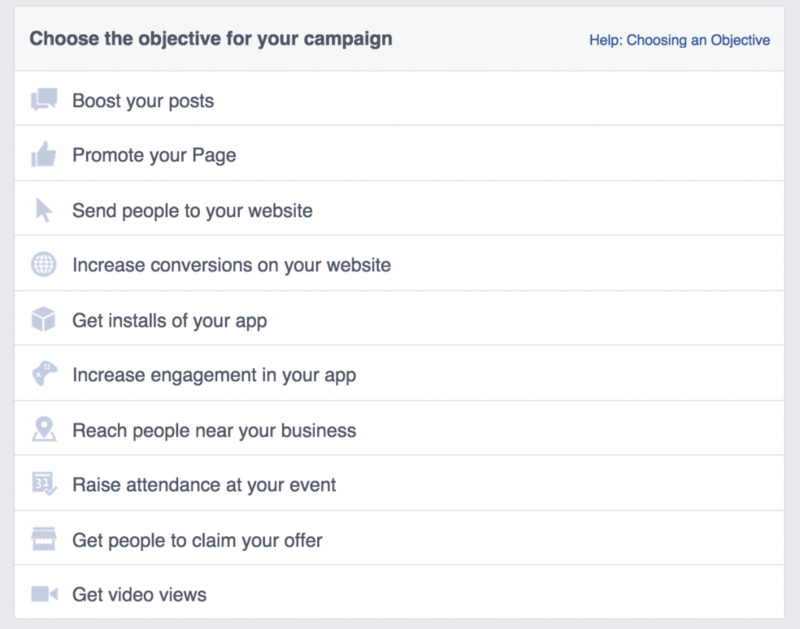 More on each of these ten campaign objectives later, but for now let’s talk about why the Facebook Boost Post button only gives you one option for your campaign objective. When you run a Facebook Engagement campaign (aka – hit the Boost Post button), Facebook delivers your ad to people who are most apt to Like, Share, and/or Comment on your post. And when someone does any of those three things it creates a very visual measurement. You and everyone who comes to your Facebook page see all the Likes, Shares, and Comments. This does two very subtle things: 1) it gets others to Like, Share, and Comment; 2) it creates social proof – the illusion that you’re getting great results from your Boost. Learn how to get much higher ROI here. Likes, Shares, and Comments don’t put money in your bank account. Marketing guru, Dan Kennedy, teaches that the more clearly you define and understand your ideal client, the more effective your marketing becomes. 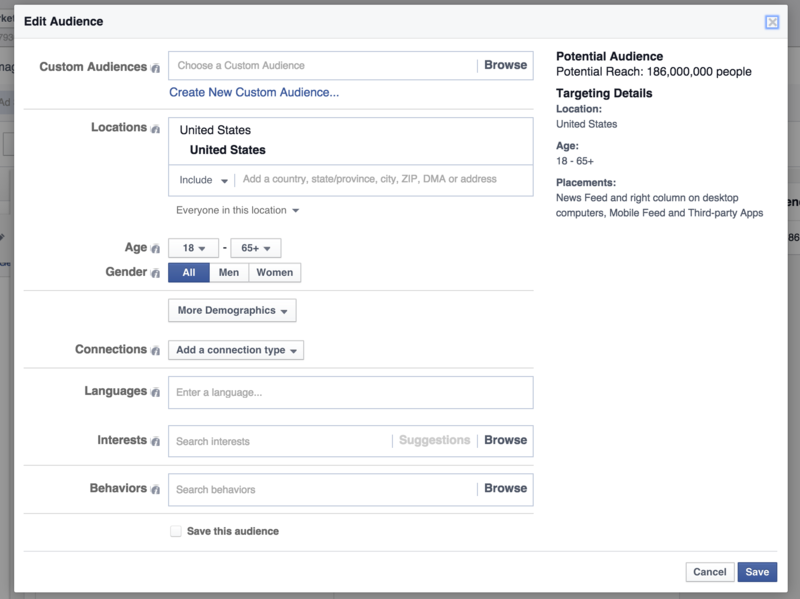 When you click the Boost Post button, Facebook gives you three initial demographic/audience options. The truth is, even though it’s the last option (“people you choose through targeting”) – it has the power to deliver the highest ROI of all three. Sadly, the vast majority of people never click it. Sure, these options look good. But when you compare these with demographic options available through Facebook’s Power Editor (more on this later), it looks a bit anemic. Do you ever check-in at restaurants on Facebook? Do you ever make Facebook posts from other places – like while you’re on vacation? Do you make posts about purchases you’ve recently made? Okay maybe you don’t, but a large portion of Facebook users do, and Facebook keeps track of all of this information, and builds extremely accurate profiles of their users. According to some recent research by Wu Youyou and Michal Kosinski, computers monitoring Facebook Likes can more accurately predict someone’s personality than co-workers, friends, family, and even spouses. Crazy! And a little scary, right? Maybe so, but it is wonderful news for you as a marketer. The data Facebook gathers gives you an uncanny ability to laser target your perfect audience. Unfortunately, this laser-like targeting isn’t available when you click the Boost Post button. Let’s say you own a men’s clothing store and you want to target men likely to purchase new clothes. Using Power Editor, Facebook allows you to target men, based on their actual purchase behavior, who have made and are likely to make new wardrobe purchases. This alone should be reason enough to never hit the Boost Button again. But if you’re still not convinced…keep reading. When you click the Boost Post button, the only delivery schedule option you have is when you would like for your ad to end. That’s a good feature. It keeps you from boosting a post and then forgetting about the boost as your credit card bill keeps going up. Scheduling the end date really doesn’t provide much other value. To help me convince you to never hit the Boost Post button again, let’s assume you own a pizza restaurant. Your restaurant is a wood-fire oven restaurant open only for lunch and dinner. As the great restaurateur that you are, you decide you’re going to start using Facebook to boost your lunch time traffic. Hmmm…how will you do this? Well if you don’t use the Boost Post button and instead use Facebook’s Power Editor, you can easily have your ads appear during the “lunch decision” window (10 a.m. – noon). Look at how simple it is to set up. As a smart restaurateur you know most people don’t decide where they’re going for lunch until some time in the few hours before lunch. 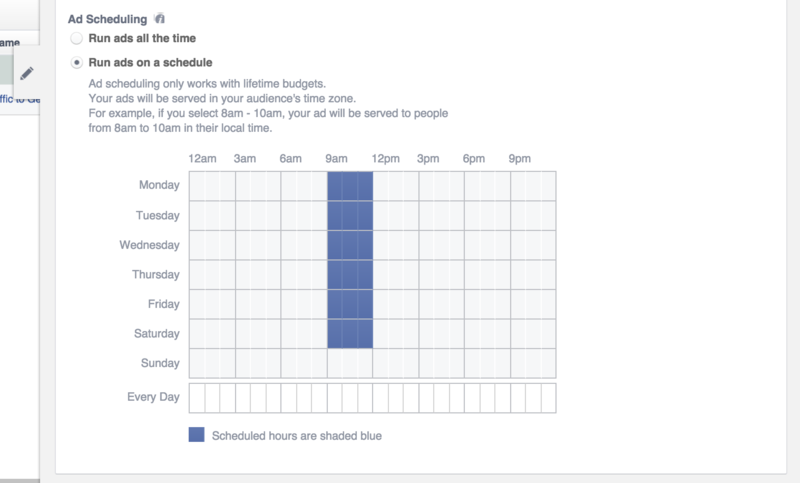 Fortunately with the Facebook Scheduling tool you’re able to select the exact time(s) you want your ad to appear – gaining tremendous targeting power – which can’t be utilized by clicking the Boost Post button. Learn more here. 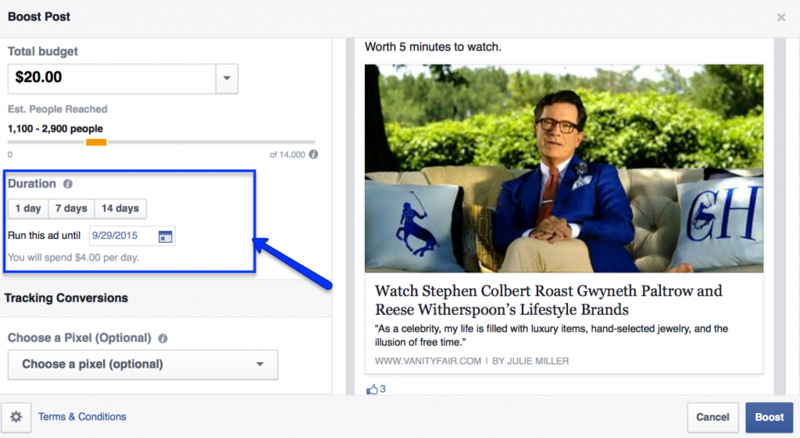 Have you noticed that some ads in your News Feed look different than the posts you boost? Some have headlines – a bold text section directly under the image. Here’s an example. On the surface having the ability to add a headline may not seem like a big deal. However, when the primary goal of your campaign is to drive revenue, a headline is one great tool to help your ad stand out from the crowd. The headline font size is substantially larger than all the other “competing” text in and around your ad. Winners often only win by a slight edge. Your headline, when crafted with skill, gives you that slight edge. What are carousel image ads? Glad you asked. Carousel image ads are those ads that include up to five photos which people can scroll through, each containing a short headline and description. Here’s an example. To be honest, for the longest time I thought carousel image ads were just another shiny object designed to entice people to spend money on Facebook. However, after significant split- testing, these carousel image ads almost always outperform regular image ads. Caveat – don’t take my word for it, do your own split-testing. Every audience is unique and as a result may respond differently. Invisible posts are probably one the best hidden tools available within Facebook. But you’re not going to find them by clicking the Boost Post button. So, what is an invisible post? An invisible post is a post that appears in others’ News Feeds, but does not appear on your Facebook page. This gives you the ability to run ads and promotions that people who like your Facebook page will never see. There is tremendous power in this approach. This approach is great if you want to run a campaign to entice new people to your business. Maybe you have a special offer to get people in the door for the first time – and you don’t want your existing customers (people who already Like your Facebook page) to take advantage of this offer. 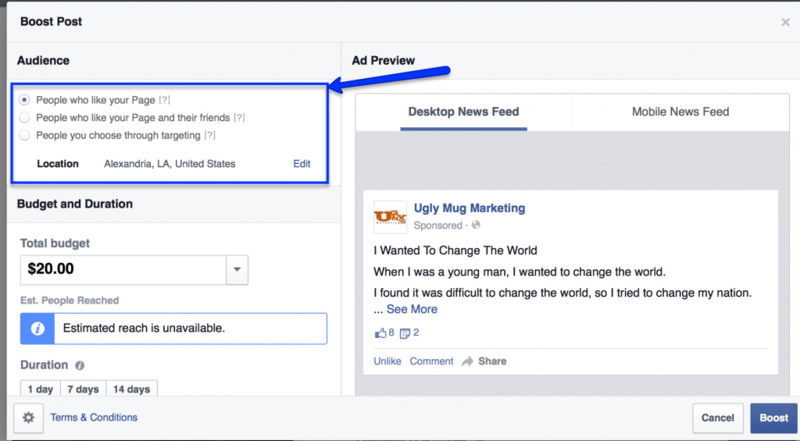 As a general rule of thumb, you want to keep your Facebook page 85 percent+ non-promotional. Meaning at least 8 out of every 10 posts you make to your Page should be informative and serve your audience. The few other posts can be promotional in nature. 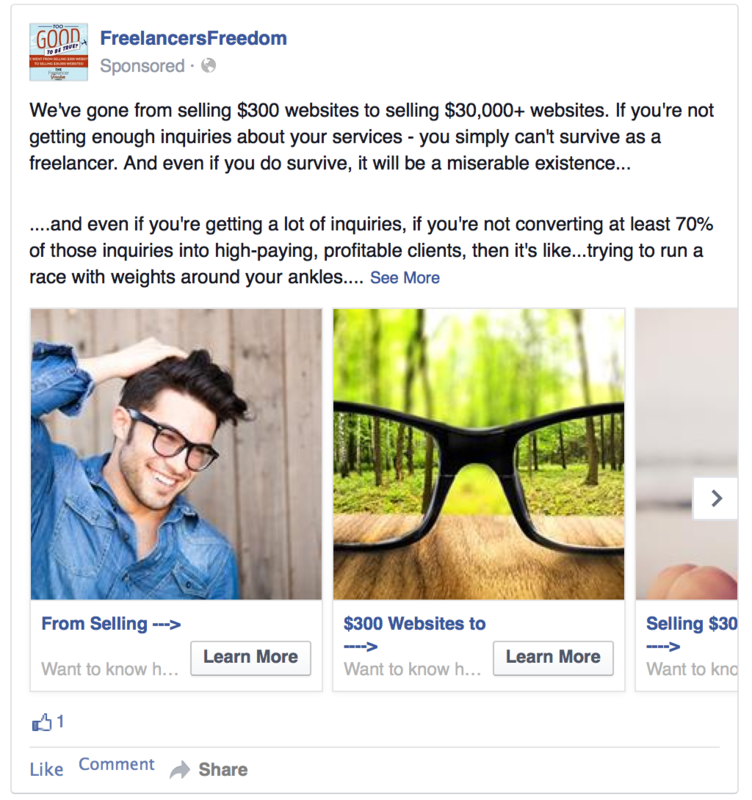 Using an invisible post gives you the ability to continually sell and promote without driving your customers crazy. But again, creating an invisible post isn’t possible by clicking the Boost Post button. If you want MORE than Likes, Shares, and Comments, then you need to avoid the Boost Post button. By delivering Likes, Shares, and Comments, Facebook gives you social proof, causing you to believe you’re getting results. In reality, they’re using social proof to convince you to keep spending money by clicking the Boost Post button. As a smart marketer, it’s your job to get the highest ROI out of each and every campaign. And unfortunately you won’t get this by clicking the Boost Post button. 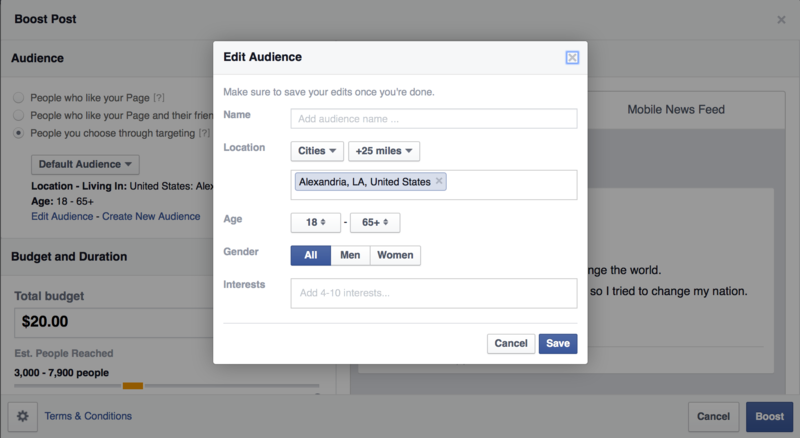 If you want to get the MOST from your Facebook campaigns, you’ve got to learn how to use Facebook’s Power Editor. I’ve put together a detailed video walk-through of how you can begin quickly and easily experiencing the phenomenal results Power Editor can provide. You can get the entire series here.